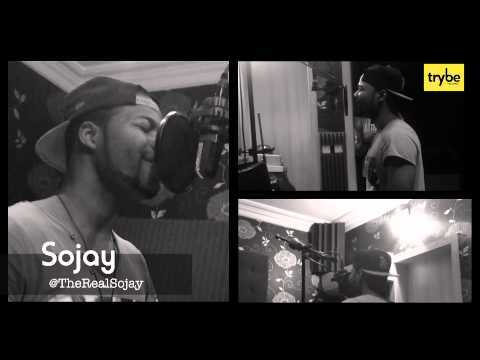 R-VIDEO ::: Trybe Records' Sojay Covers Mario's "Let Me Love You"
Trybe Records' crooner and Top Talent Season 1 Winner, SoJay, gives fans a glimpse of his vocal abilities with an impromptu cover of "Let Me Love You" while hanging out in Iman Studios. After already wowing the Trybe crew with his vocals a few minutes prior, when SoJay offered to sing another classic, K9 rushed to play the keys, and eLDee, Sarz, and Rukus quickly grabbed their iPads - each with their unique angle of SoJay's stirring rendition. After winning the 1st edition of the Top Talent competition, SoJay has already shown his vocal prowess with prominent features on eLDee's Undeniable album; both his memorable verse on the club hit "Higher" as well as the ultra-smooth ode to hard work on "We Made It". Lookout for more from SoJay as he prepares his 1st single.